Not too many people would dispute that this has been one of the strangest starts to a Sprint Cup season that we've seen in quite a few years. 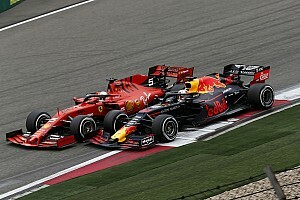 After eight races, typical Cup stalwarts like Jeff Gordon, Jamie McMurray, Kasey Kahne and Juan Pablo Montoya are part of a larger group of drivers that have uncharacteristically struggled thus far in the 2012 season. Kahne, who is currently 26th in the standings after Sunday's race at Kansas, and Gordon, who slipped to 18th, are two drivers you'd expect to be hovering in or around the top 10 right now – certainly not as far down in the standings as they are. But there's one driver whose name has been synonymous with winning and success that has perhaps been the biggest mystery of all in 2012, namely Kyle Busch. Yes, the same KyBusch who has won a combined 83 Sprint Cup, Nationwide and Truck series races in the last four seasons, has yet to win even once in any of those three classes this season. 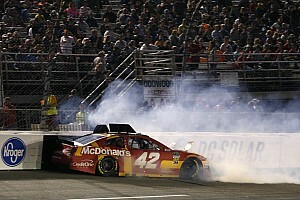 Even worse, he has just one top-5 in the Cup series and zero top-5s in the Nationwide league. With such uncharacteristic showings this season, and as he closes in on his 27th birthday on May 2, maybe it's time to put on our NASCAR CSI caps and ask: "Who is this imposter and what has he done with the real Kyle Busch?" 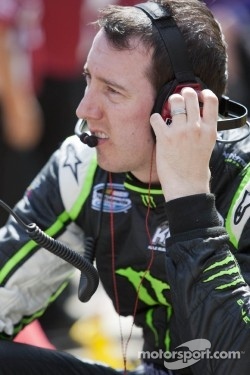 The younger Busch brother hasn't just been flying under the radar based upon his performance in 2012 – or lack thereof – some folks might even be wondering if he's even still racing this season. Busch has been ranked just once in the weekly top 10 thus far. Sure, he finished runner-up at Fontana and sixth at Phoenix, but the gains he made at those races were quickly erased the following week (23rd at Las Vegas after Phoenix, and 36th at Martinsville after Fontana). All told, Busch, who is tied with Paul Menard for 13th in the Cup standings, has compiled a non-Busch-like Cup scorecard with just one top-5 (Fontana) and two other top-10 finishes (Phoenix and 10th Sunday at Kansas) on the Cup circuit. Some might point to the fact that Busch bowing out of the truck series entirely in 2012, as well as reducing his Nationwide schedule, has cost him too much. That racing in those two series almost as much as he did in the Cup series the last few years was something he not only thrived upon, it helped make him a better racer on Cup Sunday afternoons and Saturday nights. Conventional wisdom might make some observers think that by reducing his involvement in the two support series, Busch would be so focused on his Cup career that he'd not only have several wins by this point, but he'd also be leading the standings. Guess again. It almost seems as if he's become a worse driver overall due to scaling back. Look at his Nationwide performance thus far. Busch has competed in five of the series' first six races, so he's still getting more than ample seat and track time in preparation for Cup races on the same weekends. But his Nationwide results have been atypical from what we're used to seeing from Busch: for a guy who has won 40 races in Sprint Cup's junior series in the last four seasons, Busch has yet to reach victory lane in 2012. What's more, he has just one top 10 Nationwide finish (8th, at Fontana). That's it. His other finishes have been 18th, 11th, 33rd and 17th. Critics might say part of Busch's lack of fireworks in 2012 is at least partly due to the different kind of fireworks he was part of in 2011. There were numerous on-track incidents, particularly his pit road imbroglio with Kevin Harvick at Darlington nearly a year ago. There was also the speeding ticket – an egregious 128 mph in a 45 mph zone – that caused him to lose his North Carolina driver's license for three months. And then there was the intentional ramming of Ron Hornaday Jr. at Texas last November. 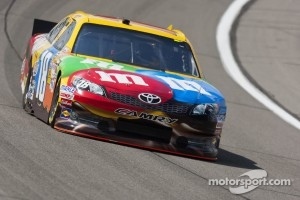 Not only did it cost Hornaday a chance at the Truck series championship, it also led to Busch being parked for the Cup race two days later, and then have primary sponsor M&Ms/Mars Candy pull its sponsorship of his No. 18 Joe Gibbs Racing Toyota for the final two races of the season. It would appear Busch is doing everything he possibly can to stay out of trouble this season, even if it has come at the cost of wins and greater success thus far. That he appears to be making a concerted effort to be good and play nice is a good thing. But at the same time, the colorful character and personality that so many NASCAR fans have come to know and love – or hate, depending on your prerogative – is obviously missing something. Maybe it's his edge or aggressiveness, maybe he doesn't want to step on any toes, or maybe he doesn't want to be caught in the wrong place at the wrong time yet again in his career. Look back at Busch's first eight Cup races and five Nationwide races of 2012. 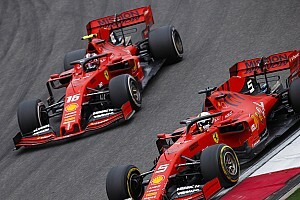 Can anyone recall when was the last time he pulled one of his trademark banzai moves that left fans oohing and aahing at his hubris and courage for making such a gutsy daredevil-like charge? If he has, they've been very few and far between. 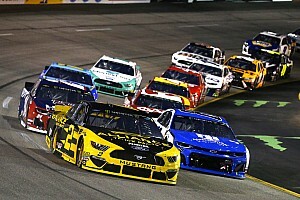 As Sprint Cup teams prepare for Saturday's race under the lights in Richmond, Busch finds himself 94 points behind series leader Greg Biffle. 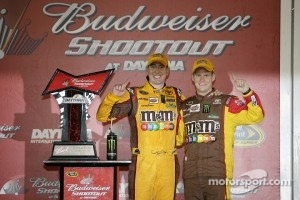 That's a pretty hefty margin, but not big enough that Busch or his fans should start panicking. A win here, a couple more top 5s there, and he could be right back in the top 10 and looking like the KyBusch of old. It's just a matter of time before Busch gets back on track. The choirboy routine is quickly getting old. 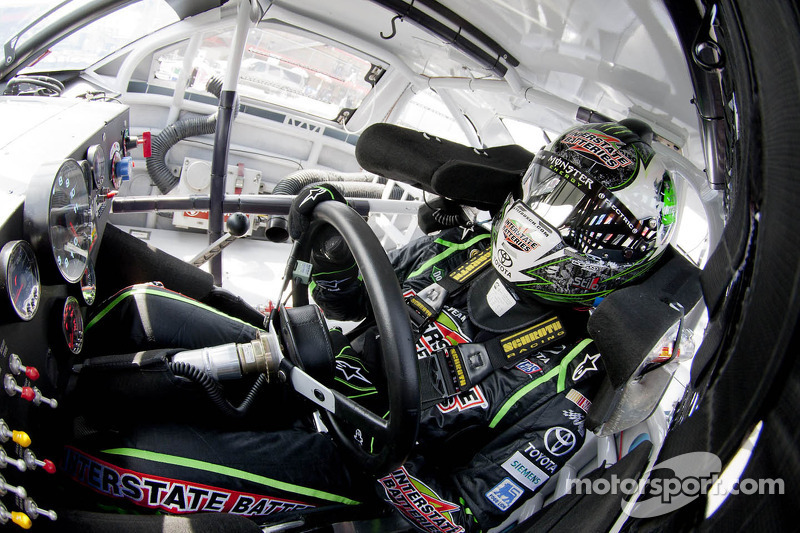 Fans want to see the old KyBusch back, the guy that folks love to hate – as well as the guy folks love to watch win lots of races.